High-quality wooden pallets are used in the creation of furniture and pet houses. The white oak is typically preferred for its durability and capabilities to bear stress. 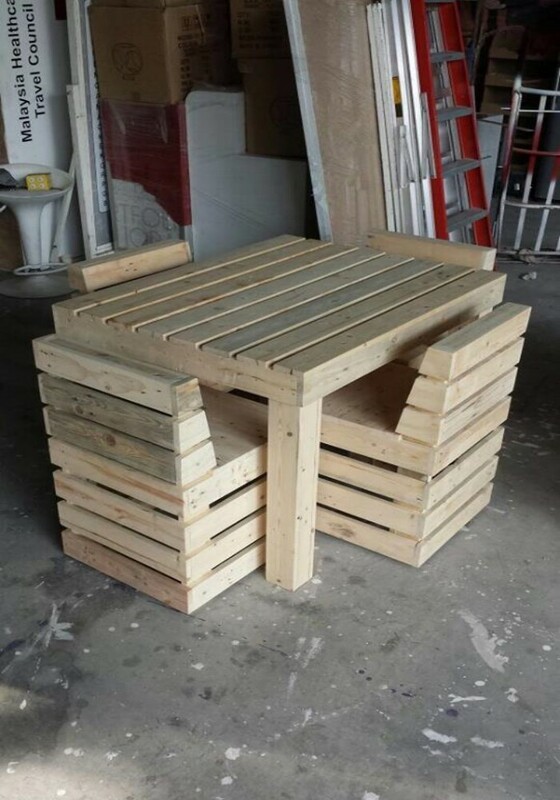 The pallets can be recycled after their first use to design creative furniture items. These are good to create fences and compost bins for your livestock. 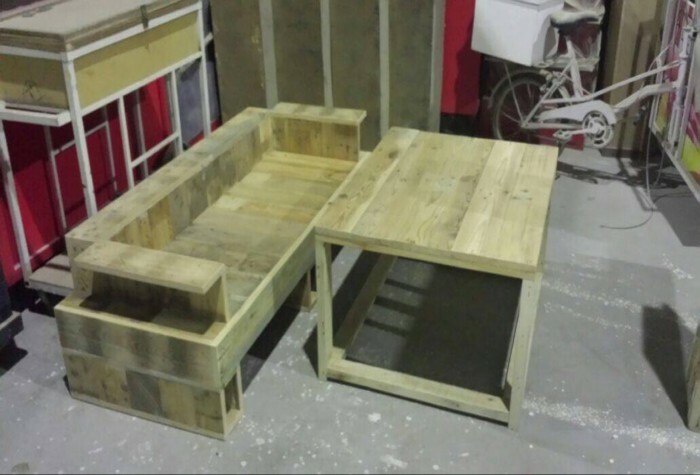 Indoor and outdoor furniture is the main items in the pallet creation. You can design wood chair, tables, benches and other miscellaneous structures. You can get pallet boards around your house and carefully check them to remove nails and other things. Ripped down the board to reduce its size and use it to design indoor and outdoor furniture. Garden gates, milking stations, dog house and bird house are different other things in the pallet creation. There are lots of wood projects that you can complete with the use of pallet wood. It is a cheap way to arrange furniture because the pallet wood is easily available around you. The garden benches, sofas, tables, and stools are some common pallet creations. You can also design shoe racks, wood shelters and kitchen rack with the use of pallets. The most creative use of pallets is planter designing. You can make small chambers with wooden pieces. 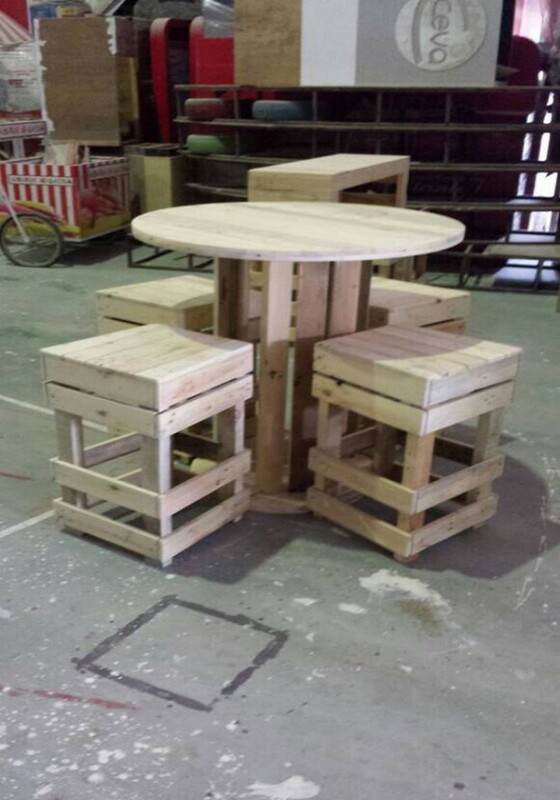 It is quite simple to do creative stools with pallet boxes of different sizes. The boxes can help you to design a stool, side table, and nightstand. The stools are designed for different purposes. In the given below picture, there is a set of tables that can be used as stools. These are multipurpose pieces of furniture that can be used to keep pots. The small pallet tables can be used as side table around the bed to keep coffee mugs, lamps or books. These can be used for the seating purpose of kids. These fine furniture pieces are designed with small pallet woods. You can also design a sofa and table to keep in the interior or exterior spaces. You can paint them to increase their beauty and durability. 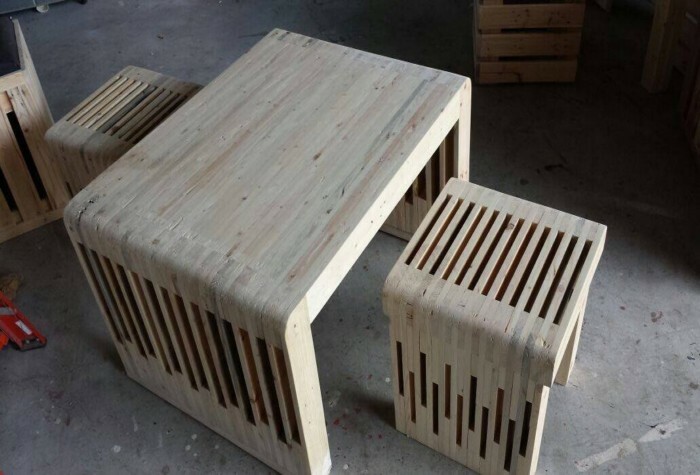 You can also design dining table with the help of pallet wood. The pallet wood is easily available in the backyard. 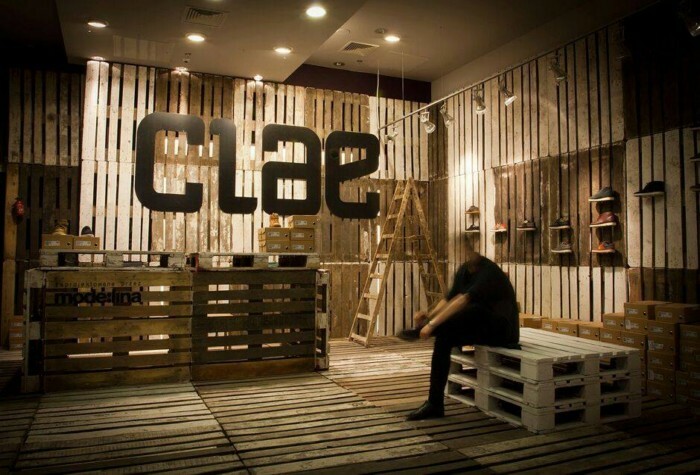 The above picture is given as a perfect example of interior furniture made of pallets. These are used as a dining table with four stools to sit around. 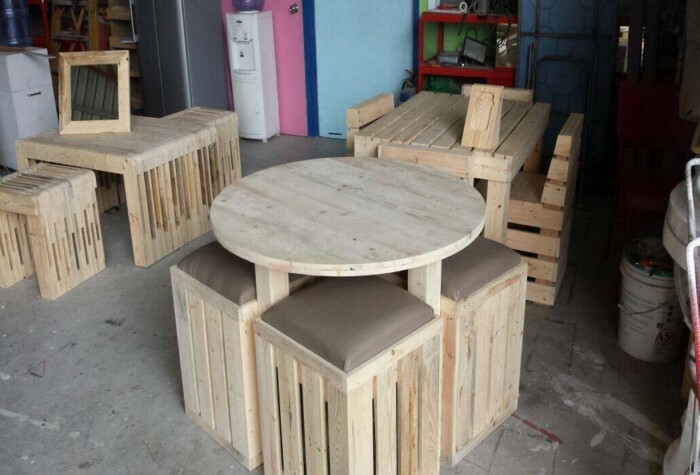 The roundtable is designed with strong pallet wood to increase its life. It is handy for your dining setups and you can use it as an entertaining table in the outdoor location. It is important to recondition the wood through sanding, varnish and remove all nails and stains. Try to use stain free and durable wood in good condition to increase its stability. The beautiful top and comfortable stools make it an excellent furniture piece for the garden area.